Respiration! I never thought I would ever work with either insect respiration or aquatic insects (except dragonflies), but this project opened up a whole new world of possibilities to me and completely changed the direction of my research. So, today I’m going to tell you about the project. It’s too long for one post, so this week I’ll give you an overview of the respiratory behaviors of Abedus herberti and next Sunday I’ll talk about the experiments I did to show that this is a respiratory behavior. Second, it has a much bigger space under the wings. That means it can carry more air with it underwater and can remain submerged a lot longer. 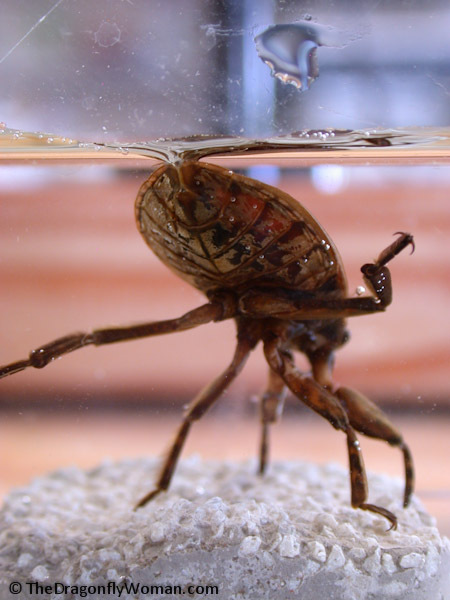 The giant water bug Abedus herberti gaping, exposing its air store to the water. The silvery part is the air bubble. Gaping is a tiny behavior, one very small movement, but it does so much for the bug. By exposing the air bubble to the water, the bug transforms the air bubble from a simple oxygen store into a physical gill capable of absorbing oxygen directly from the water, tripling the length of time it can remain underwater! The bugs may gape for 20 minutes, then close the gap before returning to the surface. They do this motion over and over and over for up to three hours. Gaping allows the air store to become a physical gill, but dynamic gaping makes the physical gill function as efficiently as possible by stirring the water around the bubble. This pushes oxygen-depleted water away from the bubble and draws in oxygenated water. The physical gill is much less efficient at absorbing oxygen from the water when the bug gapes, but does not dynamically gape. Dynamic gaping is thus a form of ventilation that allows the bugs to remain underwater ten times longer than they can without gaping or dynamically gaping! 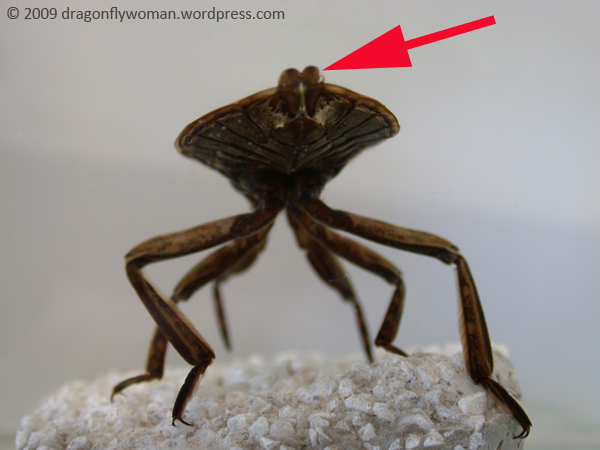 But even a dynamically gaping bug must eventually return to the surface (see my post on better breathing underwater to learn why), so it closes the gap between the abdomen and wings and surfaces. 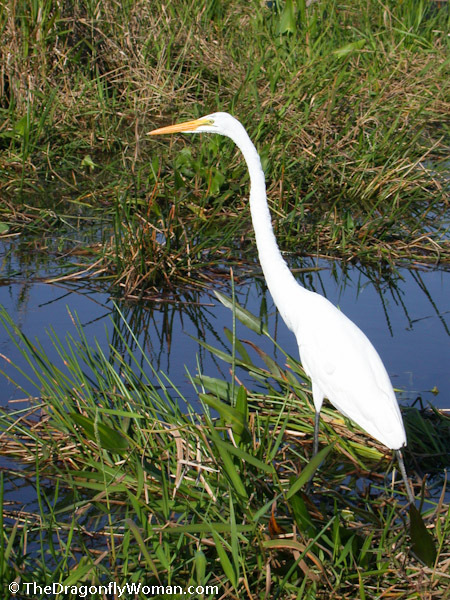 Egrets and other wading birds like to eat water bugs! Many things love eating large, protein filled insects, so staying hidden underwater as long as possible likely helps A. herberti avoid predators. However, the bugs carry a lot of air with them, which makes them very buoyant. If they let go of the bottom, they float immediately to the top. Diving is probably very hard too because they have to fight against their tendency to float to the surface. So, if the bugs benefit from remaining underwater, but it’s hard to stay underwater, then it’s a good idea to stay underwater as long as possible. Gaping and dynamic gaping to the rescue! These two simple, easy behaviors greatly extend the length of time the bugs can remain submerged, but the behaviors probably also require far less energy than diving from the surface. If so, then gaping and dynamic gaping help the bugs avoid predators, save energy by avoiding trips to the surface, and maximize the time the bugs can spend trying to capture food. So that’s gaping and dynamic gaping! Next week, I’ll discuss how I know that these are actually respiratory behaviors. I hope you’ll check back for part two! Thank for that great over view / introduction to you research. 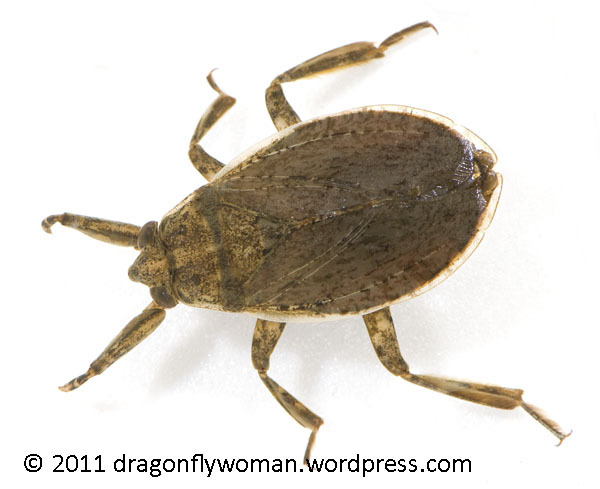 Ever since i found a dead giant water bug in my pond I have wanted to know more about it… And you are filling the blank nicely. Thanks, looking forward to next weeks post. I am glad that you liked it! I am always thrilled to tell people about my research, so it’s nice to know at least a few people find it interesting. Nice post. I shall make EVERY endeavor to slip the term “dynamic gaping” into casual conversation at church today. Awesome post, Chris. Do waterscorpions use the same “gaping” mechanism? Very interesting article. So dynamic gaping significantly increased the length of time these guys can stay underwater, but how long can these Giant Water Bugs stay submerged for, what sort of duration are we talking here? They typically stay underwater for 5 minutes with the hemelytral gap left unexposed and 10-20 minutes with gaping, but I’ve seen bugs doing dynamic gaping stay underwater up to three hours. An hour and a half is more normal though. I really liked reading about the Abedus herberti. 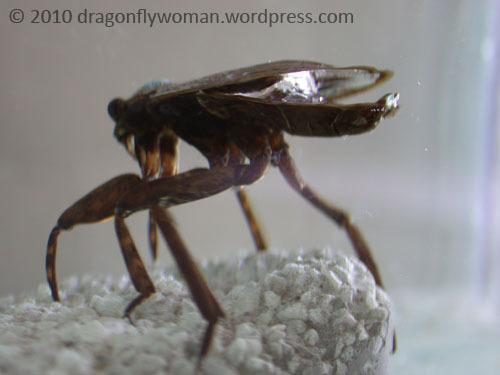 I knew water bugs lived in the water, but didn’t know that they depended on air to breath. It was fascinating to learn about how they breathed underwater via gapping and dynamic gapping! Also, the metaphor of a water bug to a snorkeler really helped exemplified how the process of respiration worked. I learned that the water is their home and it protects them against prey. Overall I really enjoyed the article!! The author states the main idea in the title and makes it clear to the audience about what is going to be discussed. Throughout reading the article, I found that the author backs up her claims by providing specific pictures and videos. The author uses a precise structure that helps the audience stay engaged. I was very interested by the information provided and have to admit that I was extremely surprised. I found water beetles in a river at the San Gabriel mountains in Southern California . They looked exactly like these, how interesting!